← We Have Our First Landscaping Customer! The Seema job was today. It’s going to take a lot longer than the five hours Michael predicted. I’m going to bed. Will update tomorrow. WOW…….hope you’re wearing sunscreen!!! Remember…….this too shall pass!! :)! I have been following your blog for a while now and I have gone through the same experience. I love your blog (you write with passion and emotion – perhaps another opportunity to consider? freelance journalism/blogging/writing?) so please keep it up. I too graduated during the recession with MBA (won’t name the school 😉 ) and had 90K in student loans. I wasn’t as aggressive as you are but I was able to clear my loan (with modest living and earning) in 2 years. 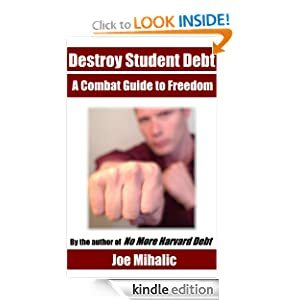 I understand where you are coming from and each to his own (but know there are others with similar mindset – although my reason wasn’t the interest but the lack of freedom debt puts on you). In any case, keep up the blog and wish you all the best with you plan – I know you can do it!